Albendazole is a broad-spectrum anthelmintic for animals. It works by interfering with proteins in either the worm’s intestine or absorptive cells. This leads to the worm not being able to absorb sugar (glucose), which are essential for its survival. Therefore the energy stores of the worm are depleted, and this leads to its eventual death within several days. It is used to treat Hydatid disease (echinococcosis) and infection of the nervous system caused by pork tapeworms (neurocysticercosis), also for Hookworm, Ascariasis, Whipworm and Strongyloidiasis. 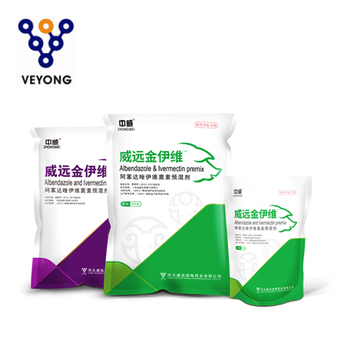 Hebei Veyong Animal Pharmaceutical Co., Ltd.